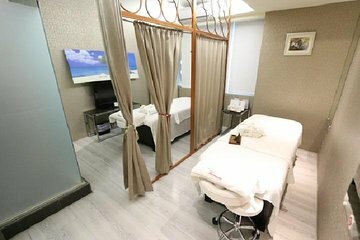 Pamper yourself during your time in Taipei and get a 1-hour body relaxation treatment at Faimon Spa Center. Slip into a cozy robe and sit back and relax in a private room, with or without a TV. Relax as your masseuse works your back, legs, shoulder, head, and hands using Australian essential oils to melt the stress away. Leave feeling refreshed and invigorated for the rest of your trip. I was not able to make a reservation and the slots were booked until 2 months in advance. Please be sure to call before purchasing this experience, because the return process takes forever.